Freeport, TX -- Port Freeport is pleased to announce the appointment of Rob Lowe as Port Freeport Director of Administration and Chief Financial Officer with responsibility for the accounting and financial reporting, treasury, risk management, financial analysis and human resource management. Lowe joins Port Freeport from BASF with more than 20 years of managerial experience including leading multi-business unit accounting activities, financial leadership support, acquisition integrations, contract reviews, and organizational designs. Lowe holds a Bachelor of Science in Accounting from the University of South Carolina. He is also an active member of the local community as a volunteer board member of Boys and Girls Club of Brazoria County, as well as served on the Finance Committee of Brazosport Regional Health System. “On behalf of the Port Commission, I would like to extend a welcome to Mr. Lowe as he joins Port Freeport. We look forward to working with him on the Port’s continuing success for the future,” said Port Chairman Paul Kresta. Freeport, TX — At the regularly scheduled meeting on September 10th, the Port Freeport Commission approved a resolution to hold the ad valorem tax rate at $0.0401 per $100 of property valuation. Holding the tax rate allows Port Freeport to meet the 2019 debt service obligations and support the expansion of the Port’s operations. The current total tax rate of $0.0401, reduced 25 percent since 2011, includes approximately three cents directed to Maintenance and Operations and one cent dedicated to debt service. In August, the Port Commission approved a resolution to provide further tax relief to individuals 65 years of age and older or disabled. The resolution expands the residence homestead exemption for individuals 65 years of age and older or disabled from $100,000 to $150,000. The increased exemption, along with the 20 percent general homestead exemption, will provide tax relief opportunity to qualifying navigation district residents. LaPlace, LA — The Port of South Louisiana has committed $9.5 million to build a railroad for Dow St. Charles capable of handling 250 rail cars. Port Executive Director Paul Aucoin announced the rail project as part of his annual report to the Parish Council at Monday’s meeting. The port is providing the property, and railroad for the project that is just east of Dow, which Dow will lease from the port. Aucoin said the project is in the engineering phase and they were meeting with Dow engineers to work out drainage issues. Overall, the port continues to grow in its three parish of St. Charles, St. John the Baptist and St. James. Aucoin also praised his 9-member commission, which includes three St. Charles Parish members. 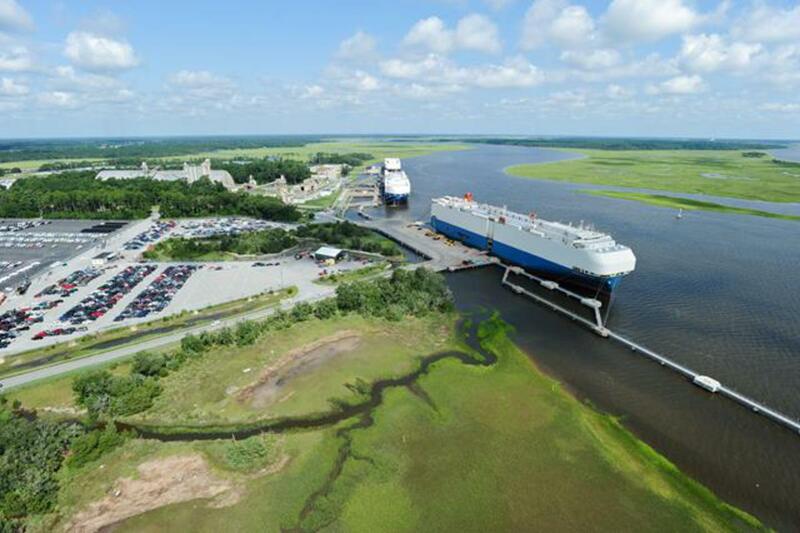 LaPlace, LA -- Year-to-date, facilities within Port of South Louisiana’s district handled over 228 million short tons of cargo. Tonnage data thus far seems to suggest that, once again, it is on course to surpass last year’s total throughput. If so, 2017 will be, yet again, a record-breaking year. Overall cargo handling increased by 7% during the first three quarters of 2017 as compared to the same period of 2016 (214,199,175 million short tons). Likewise, both vessel and barge calls increased by 5% and 17%, respectively. Of the seven main cargos handled within Port of South Louisiana, five of those showed significant increases in overall handling (that is, foreign and domestic trade combined): crude oil by 8% (up to 66.6 million short tons), petrochemicals by 2% (up to 45.5 million short tons), chemicals/fertilizers by 3% (up to 20.9 million short tons), steel products by 20% (up to 4.8 million short tons), and coal/lignite/coke more than doubled (up to 10.2 million short tons). The American Association of Port Authorities (AAPA) -- AAPA announced that its entire membership will celebrate Western Hemisphere Ports Day on April 5. On this special occasion, the association will recognize the industry’s role in job creation and economic prosperity, and its commitment to education, training and environmental stewardship initiatives on behalf of the communities they serve across the Americas. 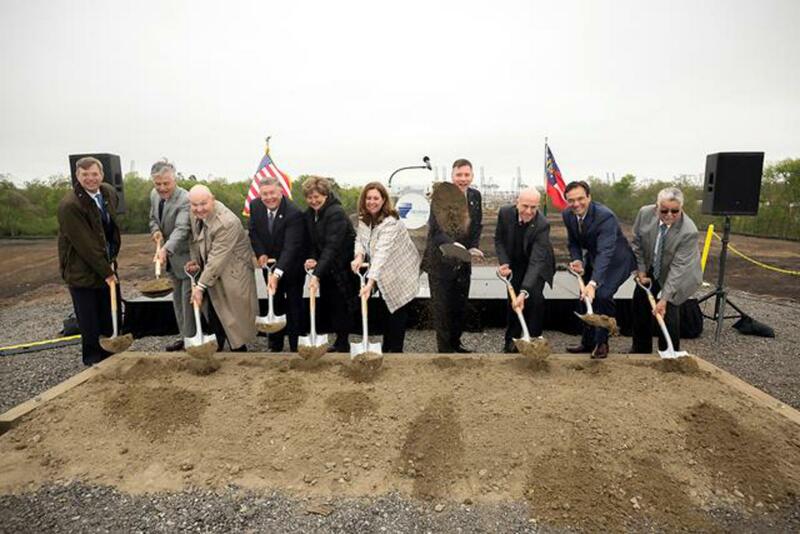 San Antonio, TX -- Port San Antonio is in negotiations with Dallas-based Granite Redevelopment Properties and locally-owned Mission DG to significantly grow residential workforce housing on its 1,900-acre campus. In the days ahead, the Port will work with the developers to establish a plan to upgrade almost 300 existing unoccupied townhome-style units at the Billy Mitchell Village apartment complex, located along the northern boundary of the property. The project—with a total cost estimated of $20 million—will more than triple residential offerings for the growing number of families who work at the Port and in the surrounding area. Before construction work begins later this year, the Port will enter into a formal agreement with Granite, whose development team includes Mission DG. American Association of Port Authorities -- High-ranking government officials, policy influencers, port authority CEOs and senior staff from throughout the Western Hemisphere, along with a host of maritime industry leaders will converge on Washington, D.C., April 4-6, to participate in the 2016 Spring Conference of the American Association of Port Authorities (AAPA) – the unified and recognized voice of seaports in the Americas. Freeport, TX -- Port Freeport Commissioner Ravi Singhania welcomed U.S. Army Corps of Engineers Brig. General David C. Hill and the Galveston District’s Colonel Richard P. Pannell. General Hill, the Delegation was briefed on the Freeport Harbor Channel Improvement Project (FHCIP) and the current General Reevaluation Report (GRR). The Delegation toured each unique feature of the Project. The widening of the Freeport Harbor Channel Improvement Project will offer many benefits to Port Freeport, the petrochemical industry as well as improve the navigation and safety of the Brazos Harbor. CEO Glenn Carlson, in addition to discussing the progress and time tables of the Project, briefed the Corps on the current operating challenges as well as the increase of approximately $25 billion in capital expansion projects from local industries. Carlson stated that “upon completion the Freeport Harbor Channel Improvement Project will both support those expansion projects and create opportunities for new projects which will continue to support the numerous jobs created in the Region”.